alternative to classroom training. However, their effectiveness is often debated in the educational software community, as not all eLearnings are made with the same attention to detail. When evaluating the effectiveness of eLearnings it is vital that we keep in mind exactly what we are trying to accomplish; then craft exceedingly mindful learning experiences to ensure the highest possible return on our investment. When building eLearnings it is necessary to consult people who teach and record their methodologies in making sure a message maintains its pertinence over time. Understanding the foundation of what makes the instructional design so effective, can go a long way in transitioning some of your organizational learnings over to a digital medium. The benefit of starting from a long time instruction-led situation is that these same instructors know your target demographic, what works for them, and what seems to get swept under the rug. Allowing an invaluable insight in developing content that may not just be convenient via technology, but possibly even more effective if properly educated. With new media comes challenges. One of the first challenges that presents itself is truly understanding your users learning styles. People learn in different ways, and in an eLearning, the human element is removed causing the need for content to be taught in a variety ways in one sitting. Imagine undergoing a narrative where the topic of interest was only defined by its dictionary definition over and over again. Then, by comparison, that same definition is described in detail, portrayed with a depiction and a layer of organizational relevance is also applied. The meaning of this one term is now obtainable via most learning types; if not just written in a way that is indeed more impactful to your learning base. I like to refer to this as the Sesame Street Rule. When creating eLearnings it is best to keep into consideration the engagement of the users throughout the whole process. In educational youth broadcasting series, this can be achieved through a “call” process. This call process is most recognizable in situations where a character will stare directly at the camera and say, “Today, the letter of the day is “L”, can you think of any words that begin with this letter?” Though, this may not work in the same manner in the adult world; by including elements that require the learner to choose a proper pathway or answer, or even an element to make the user click on a certain portion of the content to continue the learning, will further aid in course completion, and the users’ ability to continue their brain activity throughout the entire process. In order to take advantage of the full flexibility of eLearnings, you will need to make them available in a variety of different offerings. Build them out completely, adhering with the offerings of your LMS. If your users are on the go, eLearnings must be made accessible for mobile platforms. If there is an opportunity to aid the teachings with text, then, by all means, include it as an option. Elearnings as a package can be one of your greatest allies in the world of professional development. Make sure that you explore the full extent of their possibilities in the environment in which they are being developed. In conclusion, eLearnings possess an outstanding potential for your organization for growth. 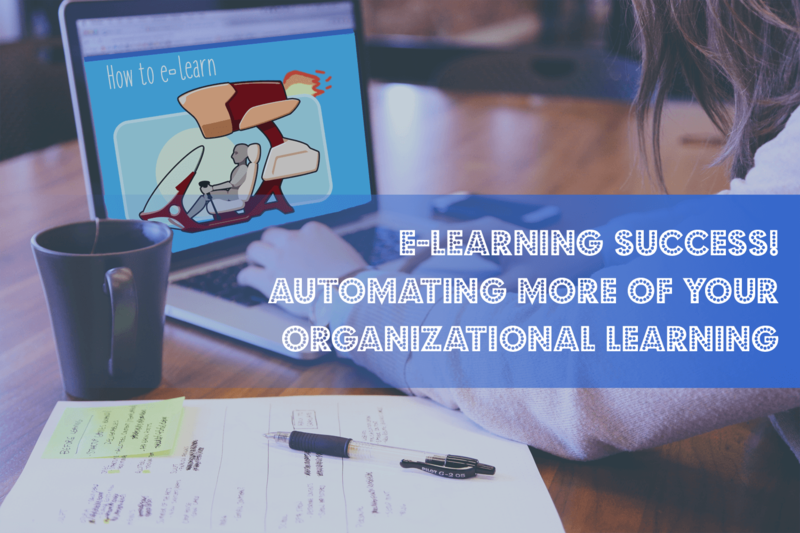 If executed properly, a great eLearning can not only improve your workforce, but it can allow for more flexibility in learning, free from time constraints and with the addition with various forms of technology. If used properly and in conjunction with Instructor-led training, eLearnings could very well mark the difference between your employees’ abilities and that of your competition. Please join me as I continue to explore the requirements of this field, as well as the potential of this marketplace.